I hope this email finds you well. Every month on Norfolk City Council presents a plethora of new learning opportunities and experiences. One has to be comfortable with the unknown and with saying…”let me find that out for you.” I remain very appreciative for the opportunity to serve. 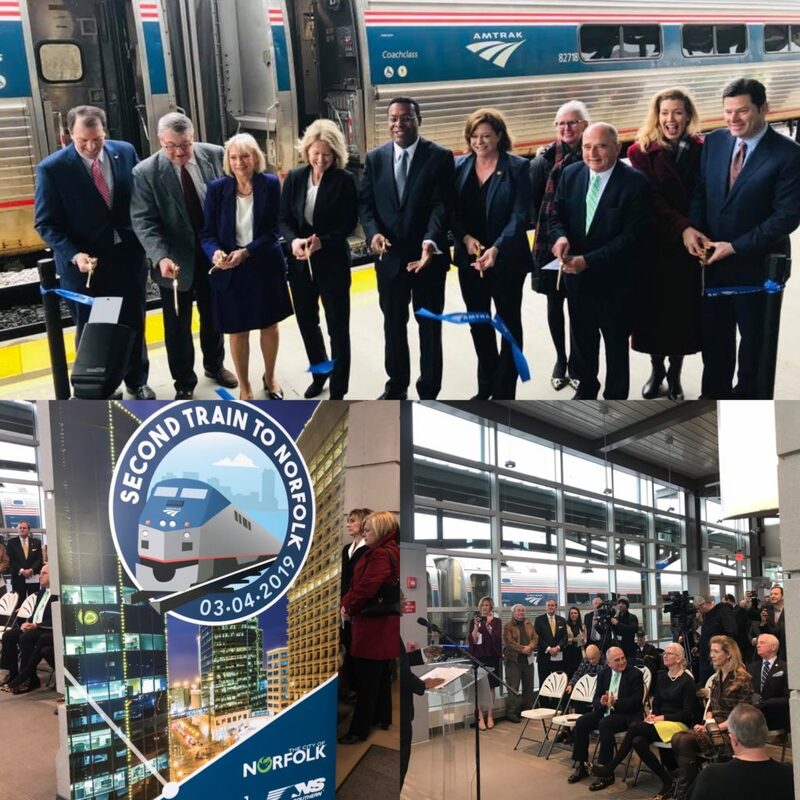 March started out with an excellent announcement about additional train service from Norfolk up the East Coast. Now, Norfolk has two morning start times on weekdays to get to Washington, DC and beyond. Jack is taking the second train time (9:00am) today to see March Madness (NCAA basketball tournament) in Washington, DC. He is looking forward to the peaceful commute. I look forward to taking the train to visit family in the future. 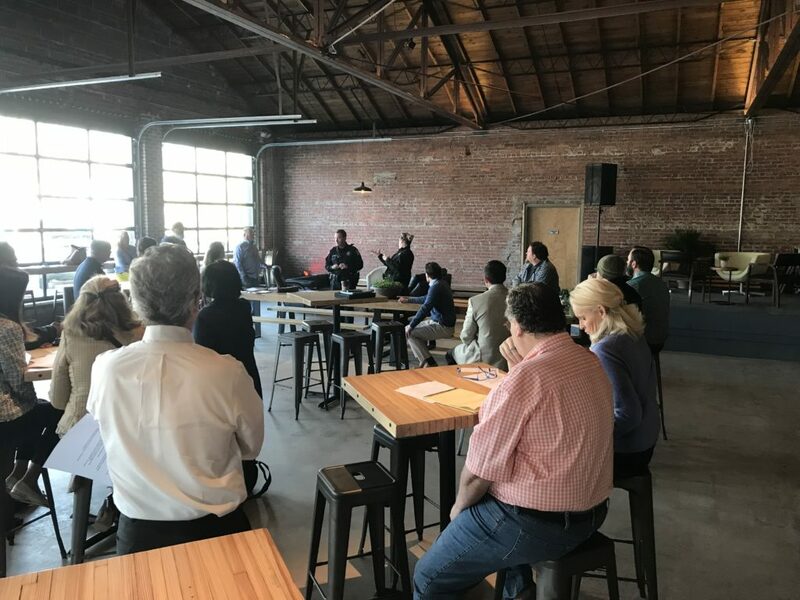 Many of us on Norfolk City Council attended the St. Paul’s Advisory Committee to be part of the ongoing conversation with the residents of Tidewater Gardens, Calvert Square and Young Terrace. St. Paul’s is home to the region’s highest concentration of public housing with nearly 1,700 aging units in three communities. Units are over 60 years old, have outlived their useful life and will be demolished in phases over the next ten years. Relocation of residents will be phased for each community with the first phase, Tidewater Gardens, being completed over 3-4 years. 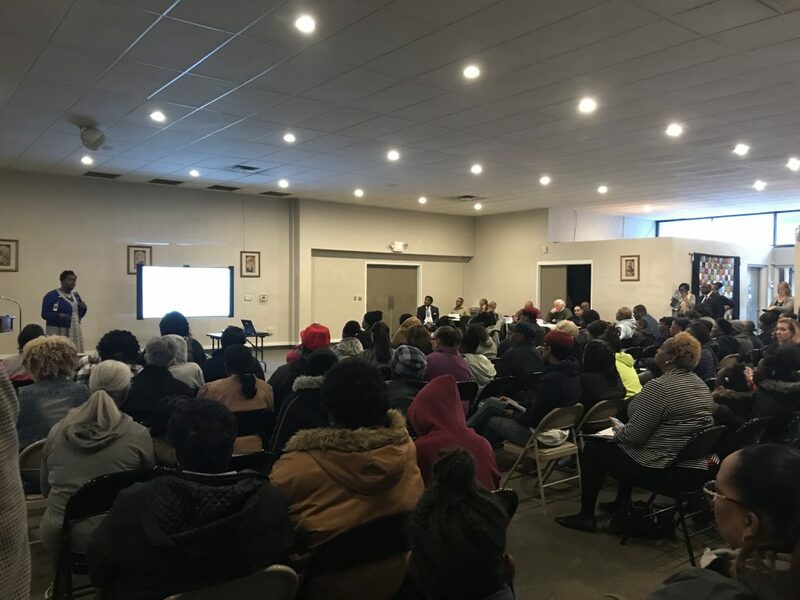 The meeting in March was one of many that started last August speaking to the People First Initiative — an intensive, individualized and comprehensive case management approach to increase economic mobility and housing stability for residents who will transition out of these areas. People First is strong and we are committed to working with all families to make their transition successful. I have an incredible appreciation for the men and women serving in the Norfolk Police Department (NPD). They are an amazing group of committed individuals who desire to serve Norfolk and keep us safe. I did a “ride-along” with Office Tucker in the 3rd Precinct, Red Sector, on a Wednesday night. I started with roll call at 7:00pm at the 3rd Precinct where police officers (working the 7:00pm-7:00am shift) are given updates and then we headed out on the streets. I rode in the front passenger seat of the police car. Officer Tucker was my “partner” until 11:00pm. Most of us have the confidence knowing we will come home alive every day after work and see our families. NPD officers put their lives on the line every day for the sake of others without the guarantee of coming home every night. Please thank a NPD officer for their service when you see them around town. Below are some pictures from March. 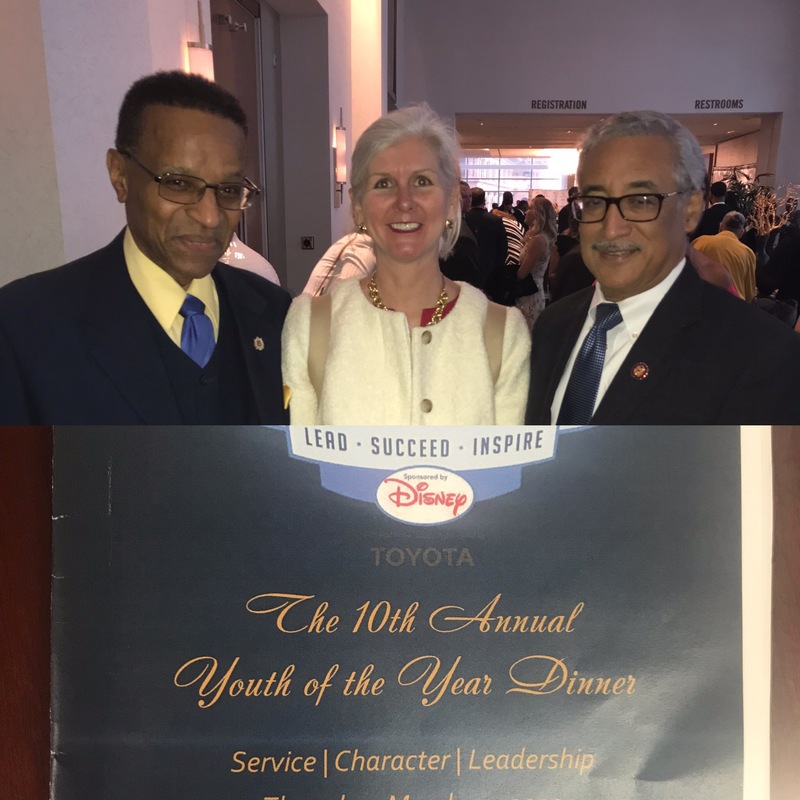 I attended the Boys & Girls Club of Southeast Virginia 10th Annual Youth of the Year Dinner. They celebrated their 100th anniversary as an organization. It was fun to catch up with Congressman Bobby Scott at the dinner. Also, I attended the inaugural meeting of the North Colley Business Association. 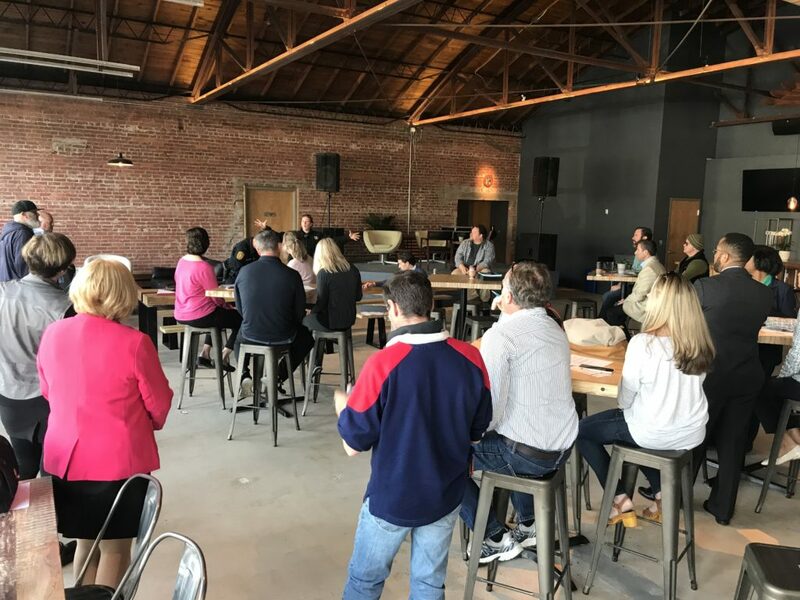 This association is comprised of businesses along the North Colley Avenue corridor, which has become a thriving commercial and residential area. The association will give these businesses a strong collective voice when working with Norfolk. The growth and vibrancy of this corridor and surrounding neighborhoods is amazing. Come out and enjoy North Colley! 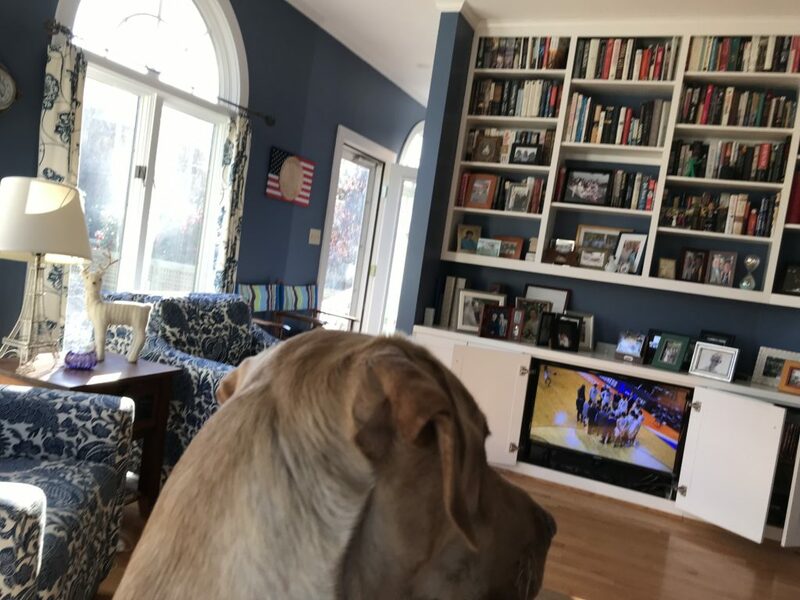 Grady and I watched some March Madness. He actually watches the TV screen. Anyway, I am off to read the FY 2020 budget book this weekend as we head into the city budget season. Wish me well. Have a great weekend and enjoy Spring! Support Courtney’s campaign and Norfolk’s future today by giving what you can. From putting a yard sign up, to hosting a fundraiser, to volunteering on Election Day, there are plenty of ways to help Courtney! ​Courtney’s background in business and education is an ideal fit for City Council. ​Courtney will bring her enthusiasm and leadership to city government and will help maintain the positive energy and momentum we’ve built here in Norfolk. ​Courtney is a listener and advocate for students and the school leaders. She makes NPS stronger because of her passion to do what is right. ​Courtney’s work with the school board is invaluable. She understands the complex system challenges and provides thoughtful solutions. Authorized and paid for by Doyle for Norfolk City Council. All rights reserved.